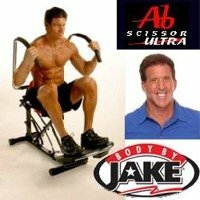 Offering Body By Jake Ab Scissor Hip Thigh Sculptor Body By Jake Cardio Cruiser Jake Steinfeld and more with easy online ordering. Introducing, the all new Body by Jake Cardio Cruiser, an entirely new kind of cardio workout machine designed to put you in your fat-burning cruising zone while also giving you an energizing total body toning workout - at the same time! The Cardio Cruiser has a revolutionary design that combines the powerful cardio and body sculpting movement of three of the most popular gym machines. You get the comfort of the recumbent bike, the upper body toning motion of the elliptical machine, and the lower body action of the stair mill... All in one supercharged machine! The secret is the Cardio Cruiser's dual-action, synchronized motion that incorporates 95% of the muscles in your body by getting your arms and legs moving in a powerful, downward arc! Customize Your Workout with the 5 Speed Resistance Dial! Whether you've never exercised before or you've been working out for years, the Cardio Cruiser gives you a powerful toning and cardio fat-burning workout in one machine that fits your individual fitness level! Turn down the Resistance Dial for a fast, fun cardio cruise. Or turn it up for a more advanced, muscle-sculpting workout. The Cardio Cruiser features seven height adjustment positions, so whether you're 4'11" or 6'4", and up to 280 pounds, with one simple adjustment, it can comfortably fit your individual size. And its so quiet, you can cruise while you're watching TV. Plus with its heavy duty, steel- frame construction, you feel stable and secure, always in control. 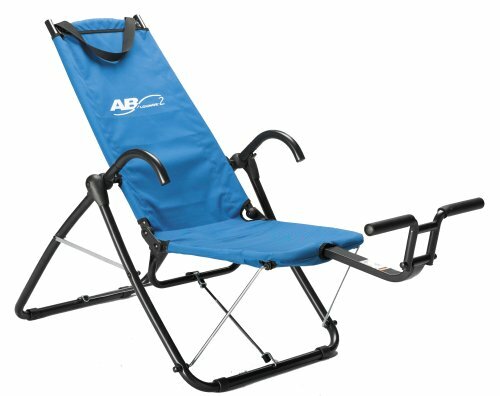 The unique, compact design makes it easy to fold down and store away almost anywhere. Your Cardio Cruiser also comes with Jake's 30-day, "Rev up the Results Fat Burning Program" to help you lose pounds and inches even faster. As a special bonus, you'll also recieve your very own Cruiser Caddy to easily hold your water bottle and TV remote control! So you can sit back, relax, watch TV, and get your fun Cardio Cruiser fat burning workout all at the same time!! Body By Jake-Strength Training 101 for Women is geared for women of all ages and is designed to give them confidence with weights and strength training both at home and in the gym. It teaches the proper technique, form and vocabulary while working all areas of the body including legs, glutes, back, abdominals, chest and arms. Now is the time to become the guy that you have always wanted to be! Get Strong! is the first guide to not only getting in shape, but also getting your life in gear. Fitness motivator Jake Steinfeld, better known to the world as "Body by Jake," helps you learn the basic steps to a more confident, more powerful, and healthier life. From bicep curls to life evaluations, Jake takes a whole new look at how to make it through your teenage years, and not just as another peg on the totem pole, but as the Big Man on Campus. Chock-full of real-life tales from Jake's own youth and descriptions and illustrations of exercises to get yourself in shape, Get Strong! is the plan you need to become strong and confident. So get off your buttissimo and get down to business, because as Jake says, "I want you to build the most impressive physique that you thought possible with this book, but I also want you to build an impressive future." By following the steps outlined in Get Strong!, you will achieve just that. ... Jake Steinfeld found his calling in helping others pump themselves up. Beginning as a personal trainer to Hollywood celebrities, he soon started his remarkably successful Body by Jake brand of health and fitness programs. Now he hopes to motivate readers to start their own businesses. His experience of learning on the fly and following his instincts led him to believe that street-smart, self-taught entrepreneurs like him have a unique perspective on starting, running, and growing a business that MBA teachers and graduates don�t have. And he must be on to something--in addition to his workout videos and exercise products, he also started a 24-hour fitness television network (that he later sold for $500 million), a profession lacrosse league, and many other ventures. 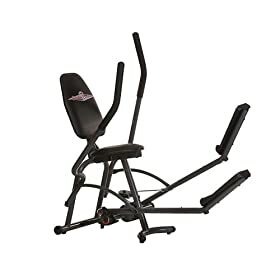 The Ab Lounge 2 Abdominal Exerciser is a revolutionary new ab machine that tightens and tones upper and lower abs and obliques faster than you ever imagined possible! Includes a workout video and healthy eating guide filled with diet tips and recipes.